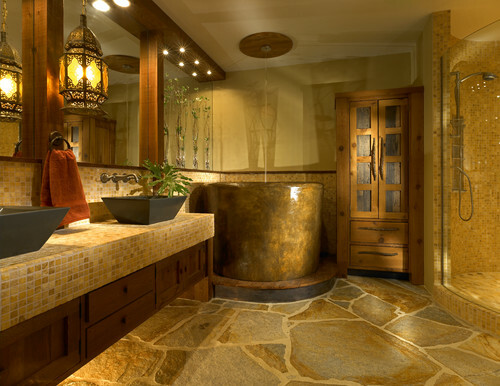 Whether you’re headed for a simple refresh or full-on makeover, it’s easy to become overwhelmed by a bathroom remodel. 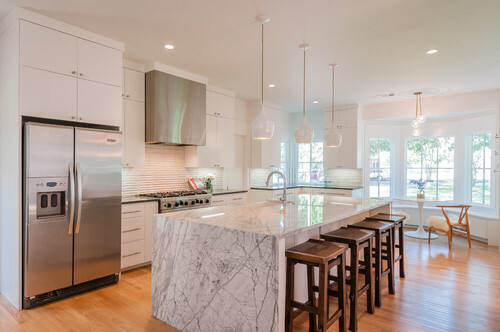 While remodeling your home is an exciting and creative process, the responsibility to make educated decisions can cause anxiety and leave many people terrified of making the wrong decisions. 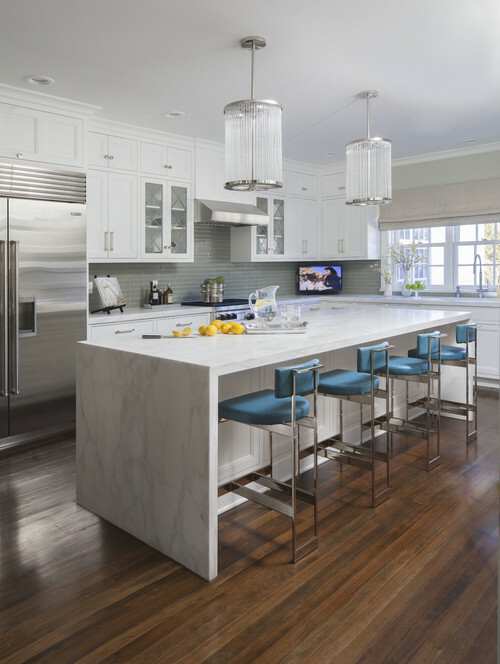 How can you make sure to get the right design for your lifestyle, stay within your budget, and maximize the return on your investment? Get off on the right foot with this list of what not to do. There’s something that feels so permanent about bathroom selections that leaves many people paralyzed when it comes to making decisions. While it’s true you can’t switch up tiles like you would throw pillows, nothing is really forever. 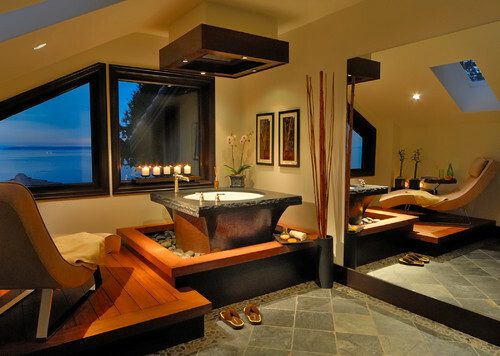 Your bathroom could be one of the most important rooms in the house— potentially a spa, a retreat, a place for a moment’s peace and quiet. 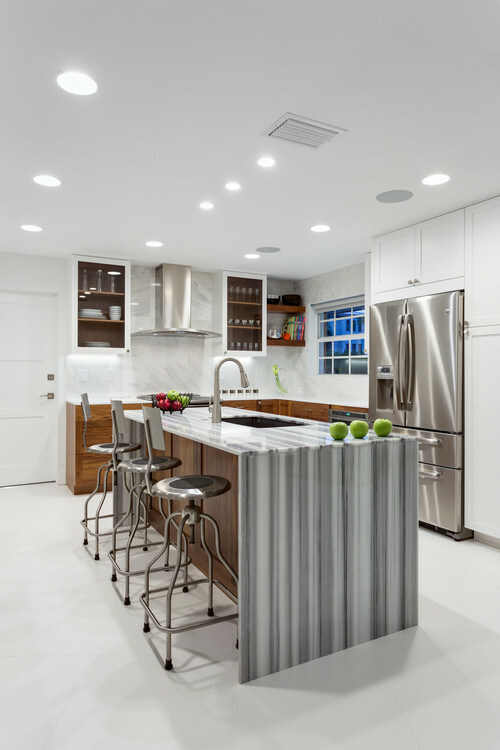 Let your creativity flow and go for the colors, patterns and fixtures that add character to the space and make you happy. 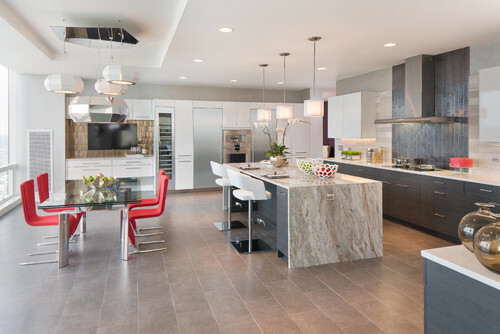 Often called the “fifth wall,” floors are your opportunity to pack an extra decorative punch. A feature floor can make all the difference in a hum drum bathroom design and one that truly stands out as exceptionally designed. 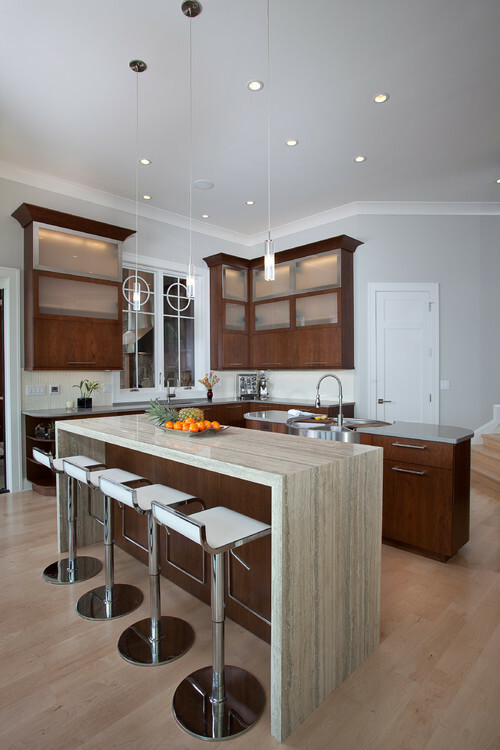 Plan your lighting scheme from the beginning. 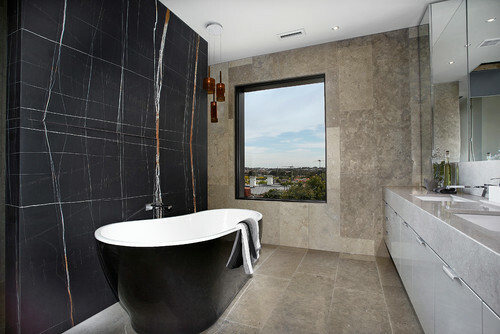 Layered lighting (task, mood and accent) in your bathroom will create a richer environment. 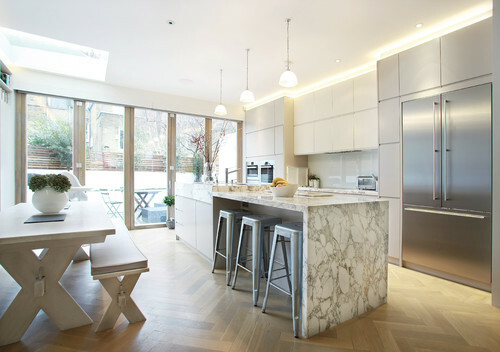 Many homeowners treat the space as though it were a completely separate entity from the rest of the house, in terms of both the architecture and the style. 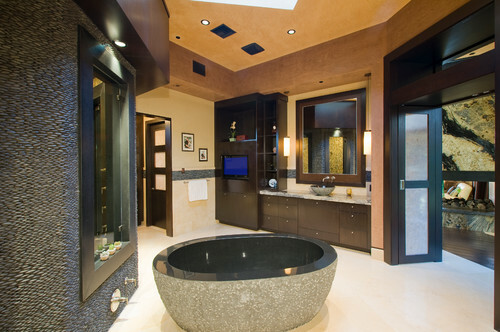 Don’t forget to carry the look and feel of your other rooms into your new bathroom design. 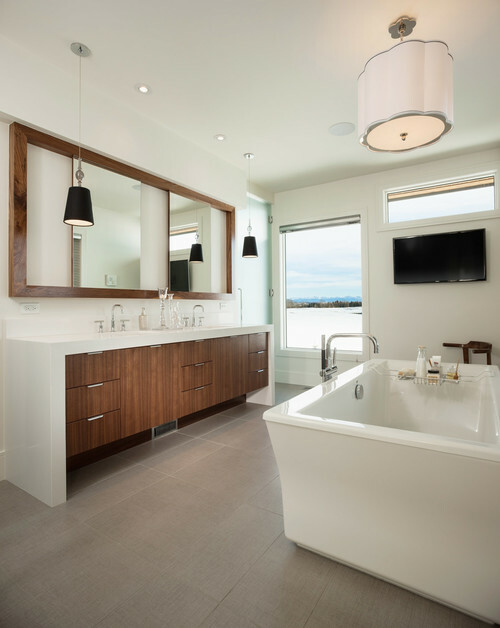 The range of bathroom countertop material options can be somewhat overwhelming, but choosing the right material for your bath space is an important aspect of bathroom design. 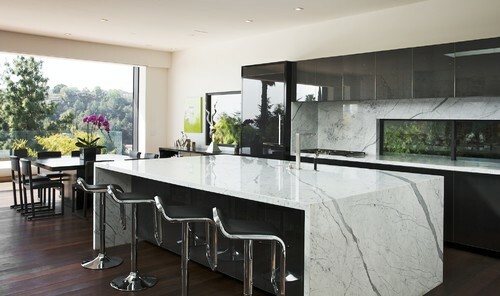 The style, durability and cost of your chosen vanity top material are all key considerations. 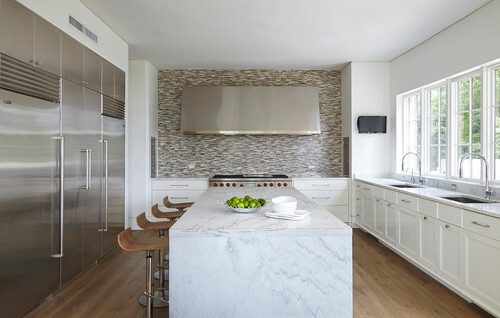 In addition to durability and price, consider the look of a vanity top, since this highly visible surface contributes greatly to the room’s overall style. 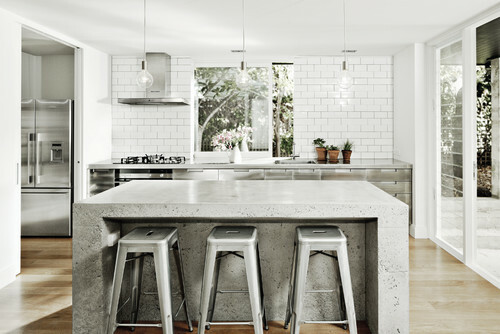 When selecting materials, also consider aspects like size, location, material, height, storage and the plumbing. Cutting costs here will inevitably have an impact in the longer term. Spending more on installation should be a high priority as the single thing most likely to ruin a bathroom design is how it’s fitted. 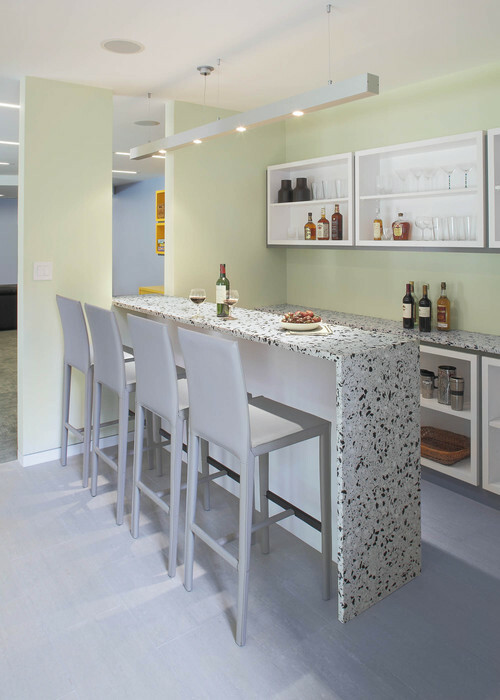 Don’t forget to set aside a small portion of your remodeling budget for the accessories and finishing touches. 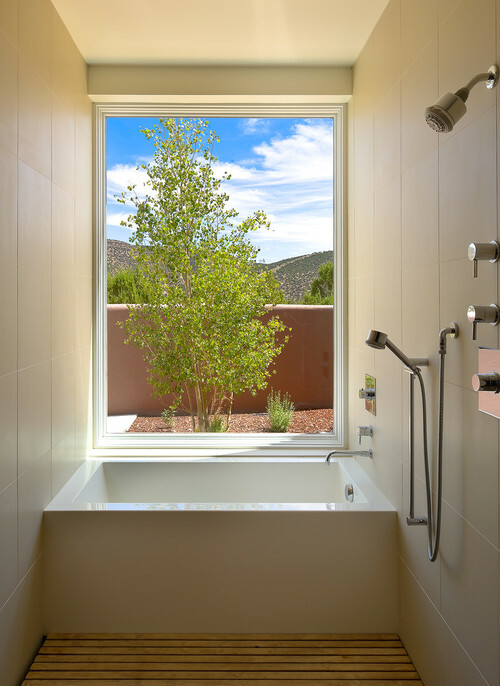 It’s important to think about doors and door handles, lighting, window seals, blinds and shutters, and paint, as well as soap dishes, toothbrush holders, vessels and vases. These details can sometimes be overlooked, but they make a huge difference. 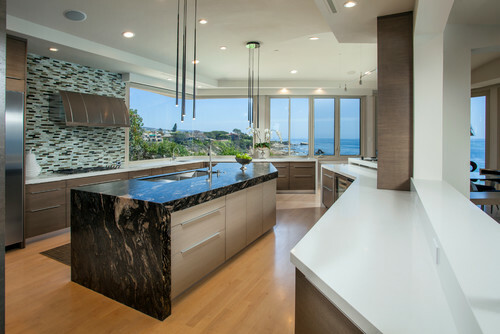 For bathroom countertops, marble and granite remain the premier choices among the varieties of natural stone, due to their dramatic beauty and seemingly endless variety of colors and patterns. 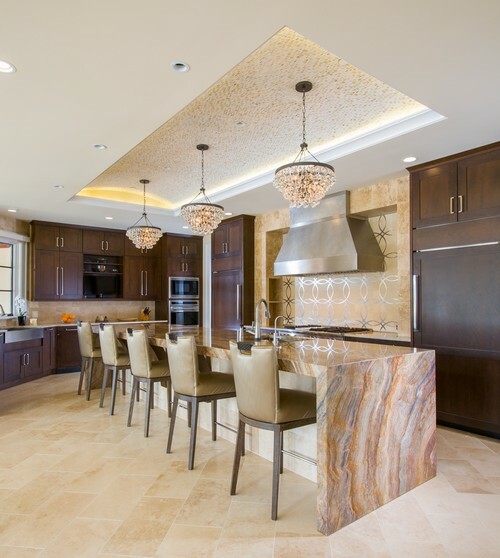 Prestige Marble & Granite offers the largest selection of the highest quality, rare and exotic natural stones available in Middle Tennessee – we would love for you stop by the Prestige Marble & Granite showroom and browse any time. 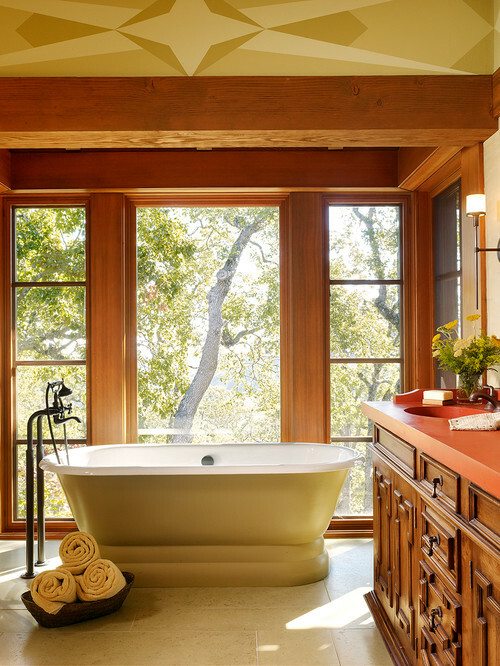 From the portable tin tub, to the enameled cast-iron claw foot, to the solid porcelain bathtub that became the hallmark of a high-end bathroom in the 1920s, the bathtub of today has certainly evolved, and in some respects has come full circle, too. 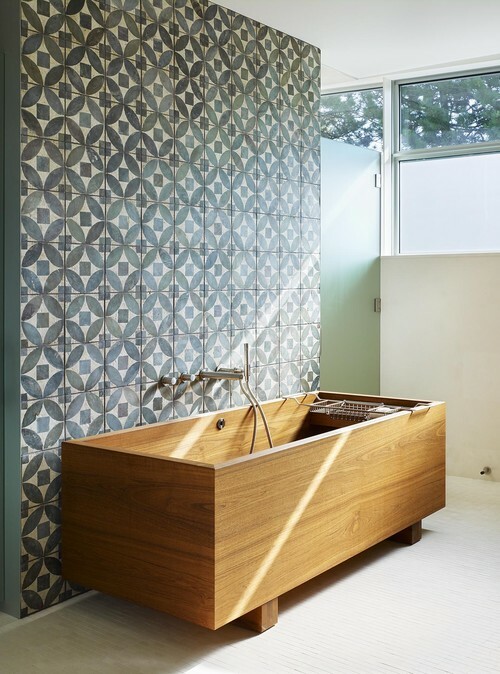 Here’s a look at the bathtub from its humble beginnings to its advent as a major focal point and design statement in modern bathrooms of the 21st century. The earliest plumbing systems ever discovered date back nearly 6000 years to the Indus River Valley in ancient India. Forward another 3000 years to the Isle of Crete where the first personal bathtub was unearthed – made of hardened pottery, its shape resembling the 19th century clawfoot tub. The early Romans championed the daily ritual of bathing and raised the bar for acceptable sanitation, but after the collapse of the Roman Empire and descent into the Dark Ages, sanitation virtually disappeared until the Bubonic plague forced attempts at improving sanitation. Before indoor plumbing, bathtubs were portable accessories: large but relatively light containers that could be pulled out of storage for temporary use. 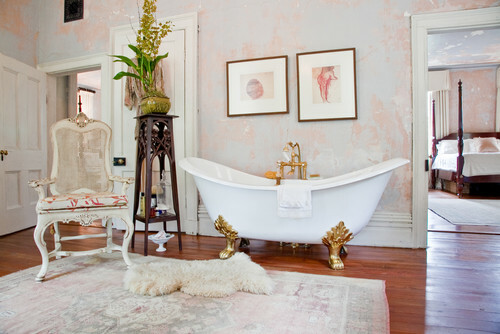 The typical mid-19th-century bathtub was a shell of sheet copper or zinc. 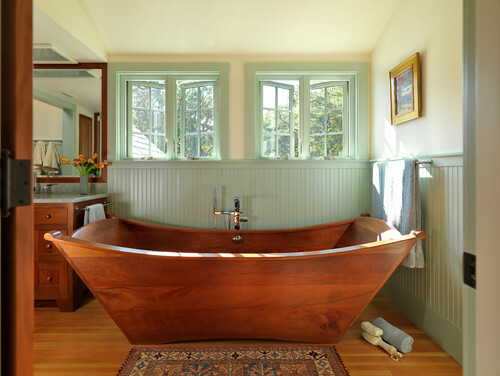 More upscale homes had lead tubs with wooden enclosures that were sometimes equipped with early water heating mechanisms. 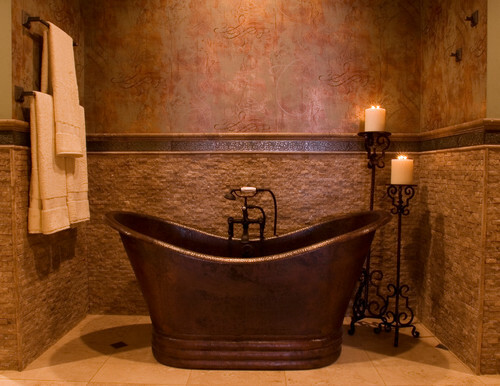 As running water became more common in the latter 19th century, bathtubs became more prevalent and less portable. Almost simultaneously in 1883, both the Standard Sanitary Manufacturing Company (now American Standard) and Kohler began the process of enameling cast iron bathtubs to form a smooth interior surface. 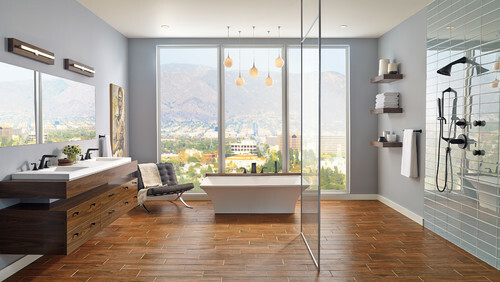 Over time, the once popular clawfoot tub morphed into the built-in porcelain tub that is still a bathroom standard today. 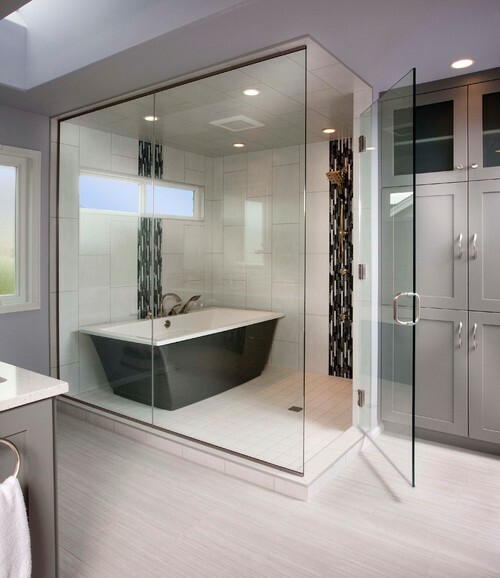 This enclosed style afforded much easier maintenance of the bathroom and with the emergence of colored ceramic, more design options for the homeowner. 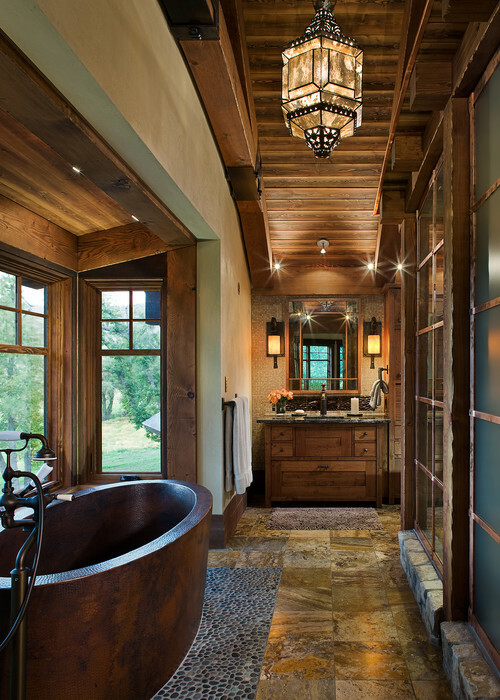 It was Crane Company that introduced colored bathroom fixtures to the US market in 1928. 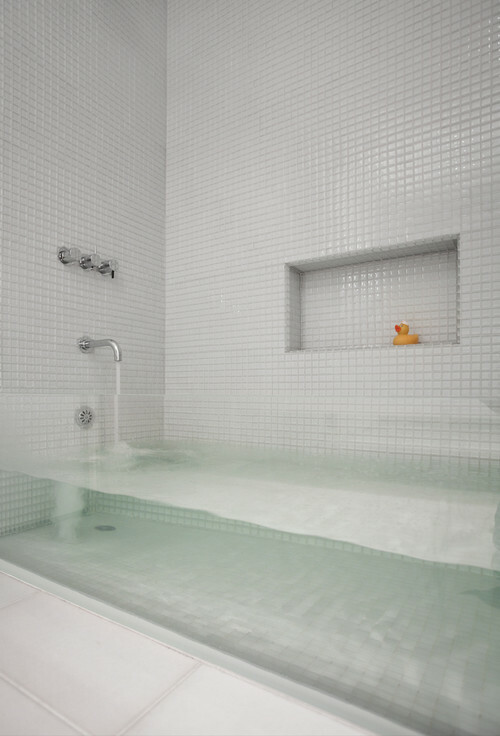 While the built-in bathtub is still very common, the style preference for freestanding tubs (including clawfoot) in a myriad of shapes and sizes, and fashioned from any number of materials, is strong. 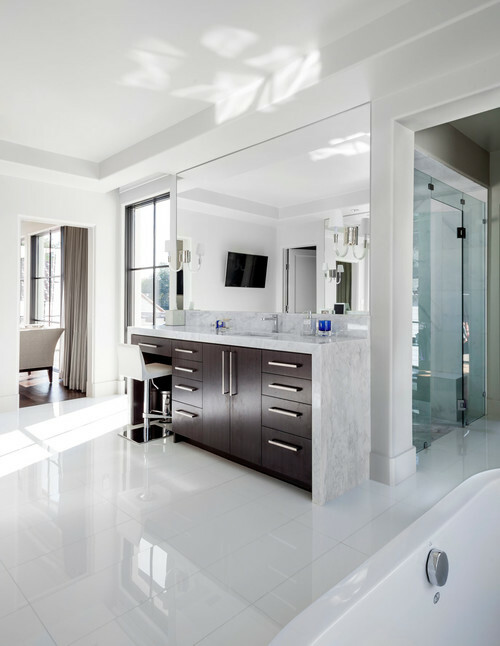 Bathtubs have become design statements and are often of the focal point for luxurious master suites with luxurious spa-like bathrooms. 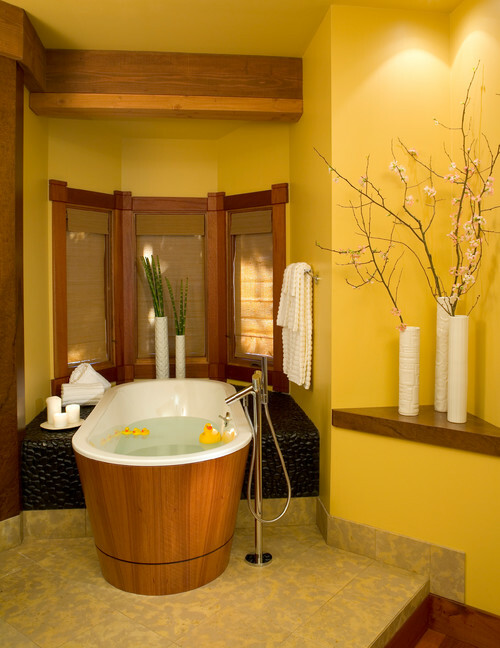 Here is a look at a few beautiful bathtubs that just might have you yearning for bathroom remodel! 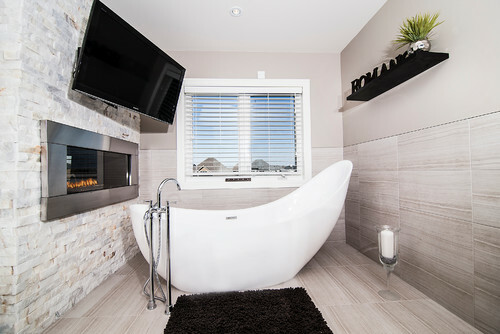 Photo by DRT Custom Homes & Renovations Inc.
Photo by Arca 3 Design Studio Inc.
We hope you have enjoyed this look at some of the most beautiful and unusual bathtubs available to homeowners today – and we just barely scratched the surface! 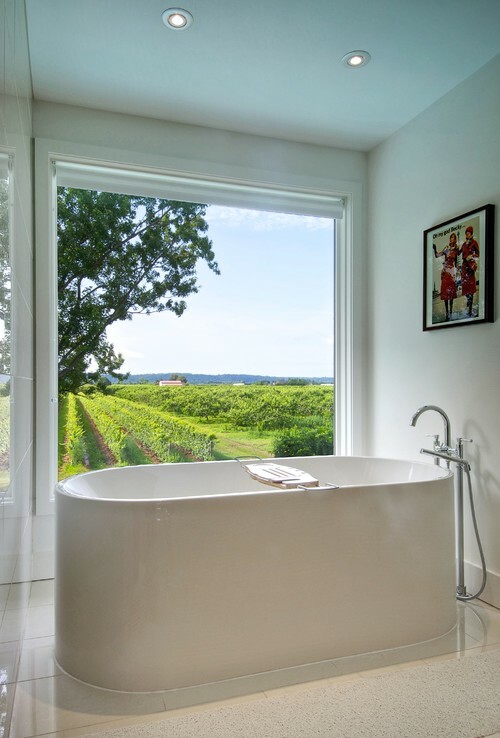 To see even more, head over to our “Beautiful Bathtubs” Pinterest board!